In a dynamic world as ours, digital signage is a promising medium for advertising and distributing information. You can find digital signage at retail stores, airports, restaurants, conference rooms, banks, museums, and hotels. Growth of this market mainly depends on how much and when information is viewed by individuals at different locations. Digital signage has seen major deployments in the retail sector. Primarily as it offers the ability to change content on the signage without much effort in time or money, saving costs in the long run. With all these advancements offered in mind, you can surely imagine the potential it would have if artificial intelligence came into play. You may be able to guess the overall impact of artificial intelligence on digital signage. Today, we dive deeper into the subject in order to truly establish the hidden potential of these two advanced tools working together. Before studying the benefits of these two components working together, it’s important to view them individually to establish their potential. The digital signage market was valued at $19.61 billion in 2016 and is expected to be worth $32.84 billion by 2023, growing at a CAGR (Compound Annual Growth Rate) of 7.4% between 2017 and 2023. As you see, there is noticeable progress each year. Introducing AI to digital signage opens up the doors to many possibilities. There is potential for more relevant content and a more personalized experience. AI can enable a fast response, a tailored approach, highly accurate information, and fewer redundancies. All of these are crucial for enhancing the customer experience. After determining how the digital signage industry stands, now let’s take a look at AI. The artificial intelligence (AI) in marketing was valued at $5.00 Billion in 2017 and is likely to reach $40.09 Billion by 2025, at a CAGR of 29.79% from 2018 to 2025. Growing adoption of customer-centric marketing strategies is the major factor driving the artificial intelligence sector of marketing. For any business, it is essential to offer the best customer experience to sustain while maintaining product quality as well as productivity. AI is assisting businesses to deliver their goods and services efficiently in a systematic, well-organized way. Marketing needs to be selective as marketers now have to deal with customers on multiple channels simultaneously and successively. Marketers must be more accountable than before to prove the value of marketing programs. They need to engage potential customers the best way how. Marketing analytics helps marketers leverage insights from data analysis to make marketing strategies more efficient and effective. This involves analyzing, measuring, and optimizing marketing efforts. 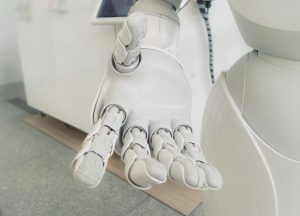 Marketing departments have started using AI in advanced analytics with focus on forecasting customer behavior, customer intelligence, and marketing optimization. The use of AI in marketing analytics enables organizations to understand how customers will respond to an offer. It also helps identify and predict the most relevant recommendations to cross-sell and up-sell. With AI marketers gain insights to better understand their customers, their opinions and preferences. AI allows organizations to analyze and learn from high-volume data, be it structured or unstructured, and revise their strategy for web analytics accordingly. It can lay a solid foundation for well-informed and efficient interactions, benefiting both customers and organizations. Physical stores are witnessing a decline in customer foot traffic, which is impacting their sales. To attract buyers, retailers need to adopt advanced technologies and create personalized experiences. Digital signage are already in use for promotions, they just need to become more relevant. There is a strong need to understand customer buying behavior to formulate the right strategy. AI can offer the required medium to channel digital signage to target a desired customer cohort. AI can also analyze behavioral data obtained from CRM systems, product reviews, and media comments, and help find better ways to engage customers. It can help visualize programmatic trends and opportunities as they arise and focus on building profound client relationships. 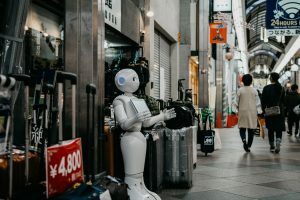 The AI market in offline retail was valued at $0.20 billion in 2017 and is likely to reach $1.12 billion by 2022, growing at a CAGR of 38.3% during 2017 and 2022. AI-based virtual assistants can help provide friendly customer service through digital signage. These virtual assistants are intelligent, easy-to-use, and “human-like”. They are capable of effectively engaging shoppers and lending them positive shopping experiences. AI-based virtual assistants can offer enriched customer support—they can assist shoppers in locating products and retrieving desired product information. Virtual assistants improve customer engagement, re-engagement of old customers, cross-selling, and follow-ups. And with increased exposure to AI-related tools adoption and acceptance is much higher now than when the first ATM machines came out. Innovations, such as touchscreen technology and NFC (near-field communication), have already created significant opportunities for digital signage. Interactive signage systems are those that impart customers to an active experience (i.e. a user can get involved in an advertisement/campaign rather than just reading it), which is quite different from a passive one. The intuitive nature of interactive touch-point displays and kiosks has fueled the growth of interactive signage systems and made shopping experiences easier and less time-consuming. 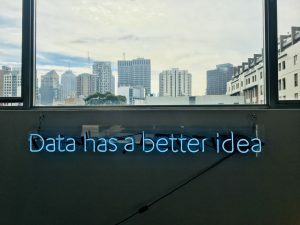 Incorporating AI into digital signage can provide a new platform for businesses to enhance customer experience via unique interactions. Digital signage can help to share more information about products and provide comparative details. Future applications include digital signage recognizing customers and greeting them and offering information like what is on sale based on an individual's buying history.